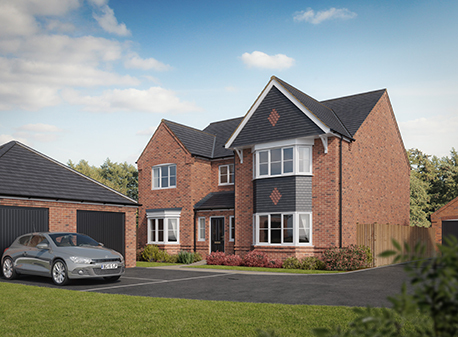 Walton Homes has launched a collection of 45 homes in the heart of Staffordshire, having listened to potential buyers’ desires to relocate to the sought-after area. Work is well underway on Devereux Grange in Great Haywood, a development made up of two-, three-, four- and five bedroom homes. Sarah Summerton, director, said: “Walton Homes has always taken pride in he careful planning that goes into each of its developments, and Devereux Grange is no different. “The past year has seen an increasing number of enquiries about properties in attractive rural settings as people look to change their circumstances, both downsizing from larger property or looking for a bigger family home. The demand for specific property types has also extended to enquiries about new-build bungalows. “It seems many potential buyers are looking for a stylish new-build home and a carefully planned location, and that was something we were keen to deliver on, regardless of whether it was for downsizing couples or families looking to build a future,” she explained. As a result, the 45-property site aims to offer versatile living for any lifestyle, from larger family homes to two-bedroom properties and six bungalows to fulfill all requirements. Interest in the development has been high, with a successful launch event held last month to those potential buyers who had pre-registered their interest. Work on Devereux Grange is expected to complete next year. For further information, contact 01543 412288 or visit the sales centre Thursday – Monday 11am-5pm.